Bob Parsons is the CEO and Founder of The Go Daddy Group, Inc. Parsons joined the U.S. Marine Corps during the Vietnam War and received the Combat Action Ribbon, Vietnamese Cross of Gallantry and a Purple Heart Medal. Upon his return, Parsons enrolled in the University of Baltimore where he earned a Bachelor of Science degree in Accounting. He is a Certified Public Accountant. A serial entrepreneur, Parsons’ first endeavor was Parsons Technology, a software company he started in his basement in 1984, after teaching himself how to write computer programs. After creating the company’s initial software, MoneyCounts and Personal Tax Edge, Parsons used direct mail marketing to sell these and subsequent products. When Parsons Technology was sold to Intuit, Inc. in 1994 for $64 million dollars, the company had nearly 1,000 employees, $100 million in annual revenue and three million customers. At the time, Parsons Technology sold more than 100 products, was releasing a new product or significant product upgrade every six days, and was sending more than six million pieces of direct marketing mail each month. In 1997, Parsons started Jomax Technologies, using funds from the sale of Parsons Technology. He renamed the company Go Daddy in 1999, and in 2000, Go Daddy became an ICANN-accredited domain name registrar. Today, The Go Daddy Group, Inc. family of companies is comprised of three ICANN-accredited domain name registrars, including flagship registrar GoDaddy.com and reseller registrar Wild West Domains, Inc., as well as Starfield Technologies, Inc., its technology development arm. Throughout his entrepreneurial career, Parsons’ business philosophy has been to create low-priced, feature-rich products combined with the highest levels of customer service. This philosophy has fueled Go Daddy’s growth, leading it to become the No. 1 registrar worldwide, both in terms of new registrations and domains under management. Go Daddy currently registers or renews a domain name every second, has more than 5.5 million customers worldwide, manages more than 29 million domain names and employs more than 2,000 people. Most of the applications sold on GoDaddy.com are developed in-house and none of its customer support is outsourced or off-shored. Parsons has driven the expansion of Go Daddy’s core business beyond domain names, to include Web site hosting, secure SSL certificates and email accounts. With more than 40 complementary products and services, Go Daddy is a one-stop shop that enables individuals to establish, maintain and evolve an online presence. Parsons was awarded the 2007 Arizona Business Leadership Award. In 2005, Parsons accepted Arizona’s prestigious “Ed Denison Business Leader of the Year,” awarded at the Governor’s Celebration of Innovation. GoDaddy.com was also recognized with several 2007 Arizona Corporate Excellence (ACE) Awards, including the prestigious distinction as the state’s “Most Innovative Company.” Go Daddy also ranked number 2 on the ACE “25 Fastest-Growing” companies list and number 20 on the ACE “Top 50” companies list. Parsons’ personal web blog, www.bobparsons.com ranks in the top 1% of most visited blogs on the Internet, out of 100 million+ blogs worldwide. 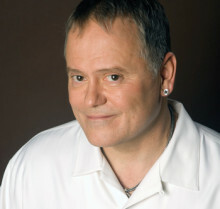 For three years, Parsons also hosted a weekly Internet radio show, Go Daddy LIVE with Bob Parsons™. Go Daddy was named the fastest-growing privately held technology company (ranked # 8 overall) on the Inc. 500 List of America’s Fastest-Growing Privately Held Companies in 2004. Do you want to hire Bob Parsons? Directly request a quote. In 48 hours we can send you the availability of Bob Parsons If you would like to book Bob Parsons, Entertainment Booking Agency is the right place. We will offer you the best price and contact the management or we directly contact Bob Parsons. For corporate appearances or speaking engagements you can contact our agents and the will help you true the process. Tags: hire Bob Parsons, Bob Parsons booking, book Bob Parsons, Bob Parsons appearances, find more information on booking Bob Parsons for appearances, Bob Parsons speaking engagements, Bob Parsons endorsements/spokesperson, Bob Parsons appearance fees, Bob Parsons booking agency contact info, biography of Bob Parsons, Contact an artist booking talent agent find a speakers bureau that can book Bob Parsons, speaker booking agency for Bob Parsons, Bob Parsons booking agency, Bob Parsons booking for corporate event. EBA is one of the biggest entertainment booking agencies in the World. We book hundreds of celebrities, artist, athletes and speakers in a year. Important to know is that we are not claiming to be the management of Bob Parsons. We are not the official agent for Bob Parsons. Companies from around the globe book these artists and speakers true our company be course we have one of the biggest networks and we always have direct contact with the artist or the management. We help you to find the right celebrities for your corporate of private events. Please contact one of our agents to get free advice and we will help to get the world-famous artist on your party.